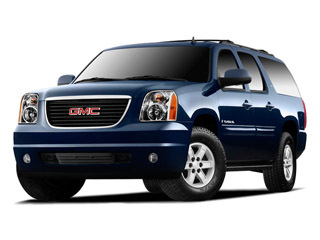 GMC's 2009 Yukon pairs sturdy, capable truck underpinnings with more modern car-like interiors and features and they stand out for their comfortable ride and decent handling. With the addition of the new Hybrid model, trailer towing need not exclude fuel economy. 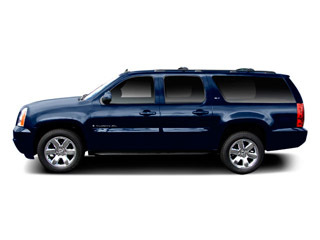 The 2009 GMC Yukon and Yukon XL, which share underpinnings with the Chevrolet Tahoe and Suburban, are lines of full-size sport-utility vehicles that are very similar, but the Yukon XL model is 20 inches longer. Both the Yukon and Yukon XL are offered in SLE, SLT and Denali models, with either rear-wheel drive or 4-wheel drive for each. Yukons can be specified either as standard-duty 1500 models or heavy-duty 2500 models. 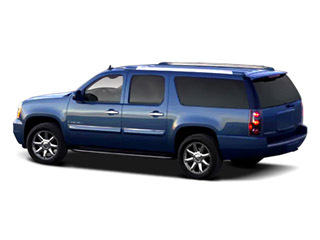 The Yukon can tow up to 8,400 pounds, while the 2500 can tow up to 9,600 pounds when properly equipped. A 295-horsepower, 4.8L V8 engine is standard on rear-wheel-drive Yukons; an E85-compatible 5.3L V8 making 320 horsepower and 340 ft-lb of torque is optional on 2WD models and standard on 4WD Yukons and Yukon XL 1500 models. Also optional on Yukons is a 6.2L V8 making 395 horsepower and 417 ft-lb. The heavy-duty Yukon 2500 models have a standard 6.0L V8 making 352 horsepower and 383 lb-ft of torque. The 4.8L engine comes with a 4-speed automatic transmission; the 5.3L, 6.0L and 6.2L V8s get a new, fuel-saving 6-speed automatic. The 5.3L and 6.0L engines also have active fuel management, which cuts off fuel to half of the cylinders in some conditions when full engine power isn't needed. The Yukon Hybrid model, which joined the lineup in 2008, gets a 6.0L V8 as part of a 2-Mode hybrid system that is capable of powering the Yukon at low speed on electric power alone, while at higher speeds the electric motor system assists the gasoline engine for more efficient accelerating and passing. The Hybrid has 8-passenger seating and can tow up to 6,400 pounds. The stiff, fully boxed frame of Yukon and Yukon XL helps provide the structure for heavy hauling and towing and also reduces vibration in the passenger cabin. There's also extensive noise-reduction material used throughout the models inside the headliner, over the engine, in front of the dash and in door seals. Luxurious Denali models get a 6.2L V8 engine that generates 403 horsepower, and 417 lb-feet of torque, an increase of 23 hp from last year. Also standard on the Denali is a high performance suspension package as well as many luxury-oriented features such as a Bose speaker system, leather 12-way power front seats, dual-zone climate control and remote start. Inside, the Yukons have a sophisticated instrument panel design, with LED backlighting and chrome accents, which is smoother and more car-like in design than most other full-size SUVs. Bluetooth hands-free connectivity is standard. 1065 Wt Distributing Hitch - Max Tongue Wt. 7100 Wt Distributing Hitch - Max Trailer Wt.